Created in collaboration with Pilates instructor and former dancer Andrea Rogers, Xtend Barre® for Openfit is a 30-minute stream-at-home version of Xtend Barre, her popular barre studio class. The Xtend Barre for Openfit workouts blend barre and Pilates fundamentals with a healthy dose of cardio and help you sculpt a strong, lean body while working up an amazing sweat — no barre required. Since 2008, trainer Andrea Rogers has helped countless people worldwide lose weight, sculpt lean muscle, and build strength without bulk. How? By giving the traditional barre routine a high-energy makeover! Her unique Xtend Barre workouts incorporate high-intensity, calorie-burning movements and fat-torching isometric exercises to help you achieve a sculpted, graceful body — in just 30 minutes a day. We know what you’re thinking. Is 30 minutes a day really enough to see results with Xtend Barre? Totally! As a busy mom and entrepreneur who is always on-the-go, she wanted to design routines that were fun, would get incredible results, and still fit in her busy life. All you have to do is show up and Andrea will help you make the most of each workout, so after 30 minutes you’ll feel strong, accomplished, and ready to take on your day. And don’t be surprised if you start seeing other Xtend Barre benefits. In addition to helping you sculpt total-body definition and gain functional strength, each workout also helps improve your flexibility, posture, and confidence! All you need is a sturdy chair and your Openfit subscription and you’re ready to go. If you want even more of a challenge, you can also use some light dumbbells (1–3 lbs. ), a small rubber ball, and a resistance band for some of the exercises. Andrea Rogers and her cast demonstrate with and without equipment, so you’ll be able to follow along no matter what. Ever since she was a child, Andrea Rogers has loved movement. So much so that she took up ballet at the age of three, and by 16, she’d already choreographed her first dance. In the years that followed, she became a professional dancer and traveled the world with celebrity performers, esteemed dance companies, and most notably, with Walt Disney World Co. as a principle dancer. After a few years, Andrea went back to school to get her degree. Fueled by her passion for movement and teaching, she set her sights on a career in the fitness industry. She fell in love with Pilates for its therapeutic benefits and became a certified classical Pilates instructor. Still, Andrea never forgot her first love: dance. 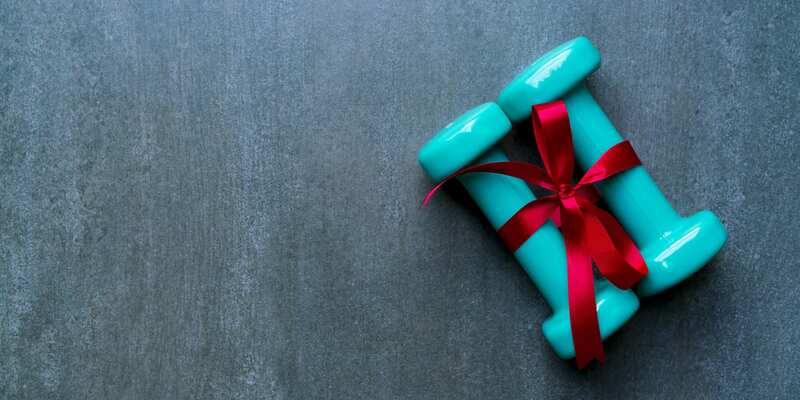 In an effort to add more variety, fun, and fitness benefits to her classes, she began to sprinkle elements of her dance training into her Pilates routines. The result was an innovative fusion of core ballet barre technique and Pilates fundamentals. Her clients loved it, got great results, and kept coming back for more. She knew she was onto something. Andrea officially launched Xtend Barre in 2008. Combining Pilates, muscle-sculpting barre moves, and high-energy cardio, Xtend Barre now has over 40 studio locations worldwide and even more classes. In addition to Andrea’s popular barre workouts, Xtend Barre now offers a wide variety of classes including HIIT, TRX, Pilates, dance, postnatal, and other supplemental programs that have helped her become a total fitness phenomenon. In 2019, Andrea helped launch Xtend Barre for Openfit, a 30-minute version of her signature Xtend Barre studio class. Now, you can do Xtend Barre online — on your schedule — and sculpt your body with Andrea’s exhilarating, cardio-driven take on the traditional barre workout. In addition to being a Master Trainer for Xtend Barre, Andrea holds various credentials including: Pilates Method Alliance member, Classical Pilates Instructor, America Council on Exercise Certified Group Fitness Instructor, and IFA member. Andrea has been featured in countless publications including: Vogue, Fitness, Self, Elle, Cosmopolitan, Harper’s Bazaar, Marie Claire, InStyle, OK!, and more. Her past clients have included numerous A-list celebrities in the fashion and entertainment industries. Currently, she resides in Boca Raton, Florida. Want to learn more about Xtend Barre for Openfit? Read on for answers to frequently asked questions about this workout. How long are Xtend Barre for Openfit workouts? Who is Xtend Barre for? Xtend Barre is for anyone looking for a workout that will help them build strength and sculpt a lean, graceful physique. Each workout is quick, but challenging. You’ll sweat and burn major calories while you tighten and tone every muscle. Whether you’re a barre beginner or you’ve been doing barre workouts for years, you’ll love Andrea’s high-energy take on this popular studio workout. Taking elements from ballet, Pilates, yoga, and strength training, barre classes are a popular hybrid workout often done in a studio. To help you build a lean body, most classes focus on high reps of isometric movements where you balance or hold your body still as you contract specific muscles. 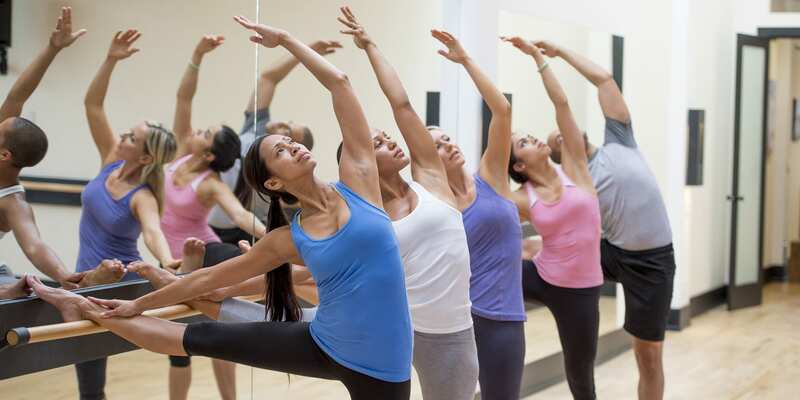 A traditional ballet barre class is around an hour long and starts with an upper-body warm-up, then moves to the barre for leg and booty work, and finishes with core work on the floor and a cooldown. The goal isn’t to build massive muscle. Instead barre workouts help you lose weight, sculpt a leaner body, gain functional strength, improve your flexibility, and feel more centered. How is Xtend Barre for Openfit different from other barre workouts? 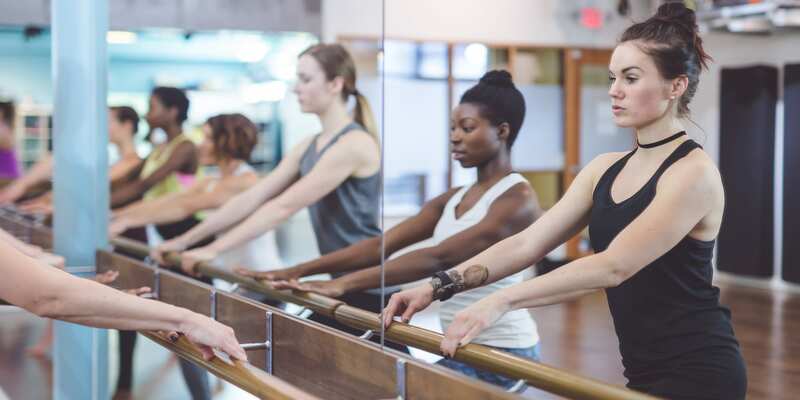 Xtend Barre gives you all the muscle-sculpting benefits of traditional ballet barre workouts — and a whole lot more — in just 30 minutes. Trainer Andrea Rogers infused each Xtend Barre workout with dynamic, high-energy movements from her dance and ballet background. So in addition to chiseling a lean body, you’ll burn major calories and improve your cardiovascular strength in just 30 minutes a day. Do I need to have dance experience to do Xtend Barre? Not at all! You do not need to have any dance experience to achieve great results with Xtend Barre’s workouts. 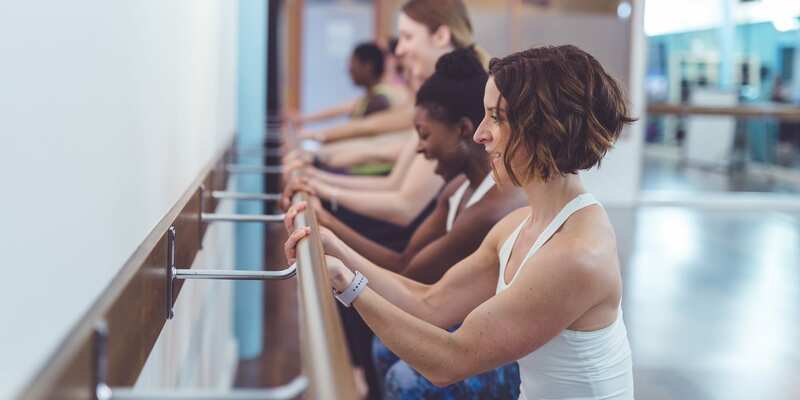 Xtend Barre for Openfit even includes a short introduction that walks you through many of the fundamental Pilates and ballet moves you’ll do throughout the workouts. Do I need a ballet barre to do Xtend Barre? 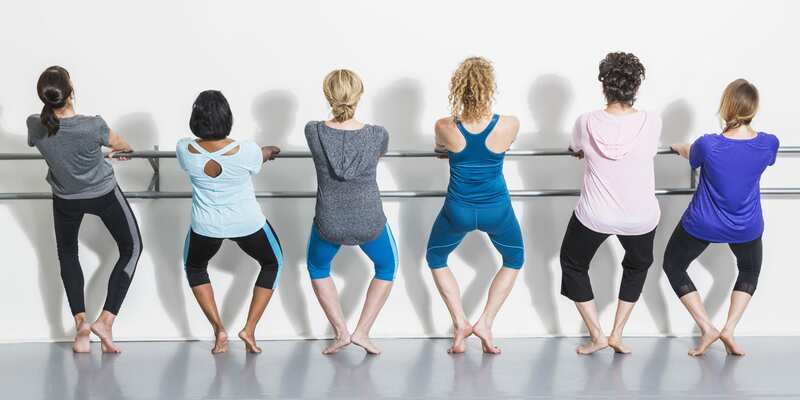 If you’re one of the few people who happen to have a ballet barre, great! If you don’t, no worries. You can do Xtend Barre workouts with any sturdy chair, or even a countertop or the back of a sofa. To help you master the moves, Andrea and the cast demonstrate all the moves at both a barre and a chair. What other equipment will I need to do Xtend Barre? A chair is the minimum required piece of “equipment” you’ll need to do Xtend Barre. Some exercises include a small rubber ball, a resistance band, and a set of light weights (1–3 lbs.) to modify the intensity, but you’ll still get a great workout, even if you don’t have them. We do recommend wearing grip socks if you plan to do the workouts on a wood or tile floor. In what order should I do the workouts? Xtend Barre for Openfit workouts fall into a variety of categories — Signature (total-body), Cardio, Legs, Booty, Core, Sculpt & Define, and Flexibility & Balance. You can do them in any order you like to suit your lifestyle and goals. We also provide a workout calendar to help you get started. Where can I stream Xtend Barre? Head to Openfit to stream Xtend Barre workouts anytime, anywhere. Openfit is the digital streaming platform for integrated fitness, nutrition, and wellness. It’s the in-your-pocket management tool that shows how simple it can be to live a healthy, vibrant life — your own way — every day. What kind of nutrition plan should I follow to get the best Xtend Barre workout results? Your Openfit subscription includes access to the Openfit Nutrition Plan. This nutrition guide is designed to complement your Xtend Barre routine to help you build strength without bulk — and reach your goals even faster. Just eat the recommended number of portions from the four Openfit Food Groups each day. It’s that simple! How to Try Xtend Barre for Free, AND Get Exclusive Support From Andrea Rogers!